Why does e-commerce startups fail in India? There are some success stories which one cannot neglect, such as amazon, Flipkart, jabong, myntra and many more. Besides, there are always many e-commerce failure records in Indian online market (DoneByNone, Jewelskart, Indiaplaza, Klozee and many more). Everyone is talking about growing e-commerce businesses, but it is also necessary to talk about the failures. It also makes the environment more real. This is especially true in the space of startups. I am sharing some of the cause that works as an agent for the failure of an e-commerce startup, I believe it will help others to learn and avoid repeating the same mistakes. A huge number of competitors: Internet is the easiest way to start a small business. So, people often choose the online market to sell their products. As there are already some well-known established giant companies that sell the same products it is difficult to survive for the newcomers. This is most often a problem when a new e-commerce store sells the same products at the same price. Small Investment: Starting an online shopping store is not too much expensive. You can start an e-commerce business by investing a couple of thousand Indian Rupees. Starting an online store does not require a huge amount, but once your business starts, you have to afford labor cost, transport cost, advertising cost and much more. A bad Website: When you are going to start a business over the internet, it is very much important to build up a custom, secure, responsive, low-loading time, functional and good looking website. Your website will be your very first impression for your online customers, so it should be attractive and user-friendly. But, most of the e-commerce businessman don’t give that much importance to their websites and don’t want to waste (As per startup e-commerce businessman’s thinking) their money to build up an exclusive website. In today’s scenario building a customized, responsive, good looking e-commerce website requires $350 – $500 (WERVAS – Virtual Assistant Services), where they want a website for $100 – $150. Social Media Optimization: You are very new in e-market, online buyers don’t know about your e-commerce store. If you want to make sales, you need traffic (website visitors). At this moment, Search Engine Optimization (SEO) can higher your website’s rank on popular search engines, such as Google, Yahoo, Bing. When you hire an individual or an organization for SEO, they will develop the rank and the impression of your e-commerce business. You need huge numbers of traffic on your site and only a few of them will actually purchase your products. A fast way to get traffic is with pay-per-click advertising, but it can be expensive. A slow but effective process is content writing, blog writing, social media management. But, the thing is that the startup business don’t give that much of importance to these processes and they actually make a loss by simply ignoring these basic e-commerce needs. Low-Grade product image: Online shoppers don’t come in person to your doorstep to examine the product you sell. They find the product on your website. So that, the image of your product should be strong visual representative and original which help them to understand the quality of the product. You may sell a top-level product, but the poor visual impact can decrease the grade of your products causing depreciation in your sales. Low patience level: Every startup takes some time to grow, at very rare situation, a business can develop at the very first stage. It can happen when you start an e-commerce store and no one purchases your products. I suggest you be patient, you are very new to this industry and it will take some time to grow your business. Don’t be hopeless if takes several months to gain that profit, if your product is a quality product people will definitely buy it from your store. Product rate: When you are new, you have to sell your product at a low rate compared to your competitors who already taken a position in the online market. We all want the best product at the cheapest price, so follow this way. Some new e-commerce stores tend to high their product rates just to make an instant profit, if you are doing this you are in big trouble, my friend. In order to do a serious business you need to make clients nor customers and these clients will be the asset to your longtime business plan. Keeping Poor quality product: I have seen many e-commerce stores that actually sell a first copy or replica of some branded product without mentioning the terms “replica” or “first copy”. To most of the business owners, this strategy seems to be great as one can buy a branded product at a very low cost but if you think from the depth by selling these products along with a good revenue you are also earning a bad reputation. After a few years you will be known as a copy store, is this the thing you want your business to be called? I believe No!. Think form Customers’ point of view: Though you are a seller but always try to think from the buyer’s point of view. Many startup e-commerce stores sell almost the same products that are available on a giant e-commerce and they add their new flavor, a bigger price tag to that products. Why should one buy the same product that is available in some trusted e-commerce stores with a much lesser price tag from a non-trusted e-commerce store like you? Let you are the buyer, now ask yourself would you buy that product? , Let me give the answer on your behalf and the answer will be No! I would always recommend selling a product with a price tag that you will be convinced to buy if you were the buyer, if you are not enough convinced to buy what you sell then you have no right to sell that to your customers. These are some of the causes for the downfall of an e-commerce store. I hope you like it and take the necessary measures to boost your business. All the best! I believe you all will do great business in the future. 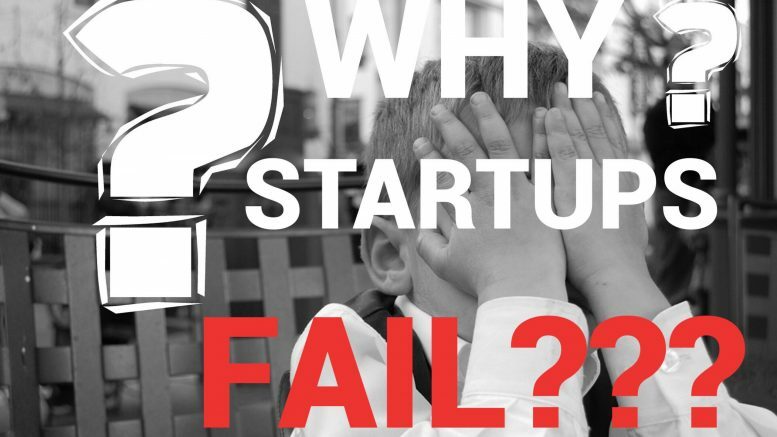 Be the first to comment on "Why does e-commerce startups fail in India?" Is hiring a Virtual Assistant better than hiring a Part-time employee? Clutch Names WERVAS a Global Leader for Virtual Assistant Services! Free Trial On Virtual Assistant Services | Good Or Bad? How to Hire your first Virtual Assistant and Why you should have one?